Lovin That! : The Gap is Back - Lovin That! About 5 years ago, I purchased a lot of my pants and basics from The Gap. Over the past couple years, I've gone there to purchase items for my 2 year old daughter but left empty handed for myself. That's all changed. The Gap is Back! 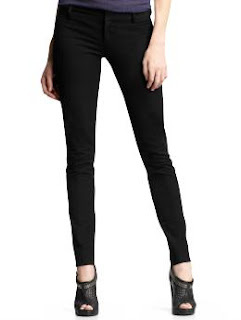 Loving the basics and my new fav Lovin That is the Real Skinny Black Pant. It's my new "go to."